Ask any African…one of most vexing mistakes someone from the West can ever make is to assume that Africa is a country, yet it is one that is still made all too often. On the digital frontier though, it is this very perception that may prove beneficial to the way Africans communicate and trade with each other and on a global platform. In 2011, the Internet Corporation for Names and Numbers (ICANN) - a body in charge of the management of internet domain names - voted to accept new generic top-level domains or gTLDs as of the following year. After a long debacle concerning legal documentation, foreign exchange compliance and name change issues that sprung up during the application process, former UniForum SA, now the ZA Central Registry (ZACR) finally signed the Registry Agreement with ICANN on March 26 to secure the dotAfrica domain name. The launch of the dotAfrica domain, which is set to begin its ‘sunrise’ phase at the beginning of May, has been described as being of historic significance to the African continent. With Africa and African resources being of great economic interest to investors in developed as well as developing countries like China; the implementation of the dotAfrica domain brand could bring about a more focused, more powerful way for African businesses to trade both amongst each other and internationally. ZACR CEO, Lucky Masilela, says of the branding and economic implications; “The value proposition for dotAfrica is that it allows us a new, collective identity. This translates to a new brand and creates a wide variety of names we can use in the digital space. 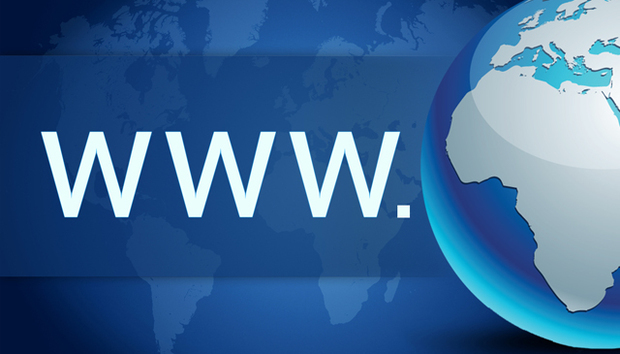 dotAfrica will send you to a specific geographic space and you can zone in to the business, so it offers great significance for brand awareness.” Among other domain names that will help geographic optimization are those named after South Africa’s biggest cities such as .capetown, .joburg and .durban. The ZACR’s plans, however, extend beyond offering the continent its own digital identity. Masilela says in addition to being presented at an affordable price (about $18), the proceeds from registered domain names will go towards a foundation set-up to advance the local ICT industry. The ability to grow the African economy by making payments in local currencies has also been highlighted as one of the important benefits of the dotAfrica domain. Following the Registry Agreement, AUC Commissioner for Infrastructure and Energy in charge of Information Society, Dr. Elham Ibrahim said; “The establishment of DotAfrica means that African business and individuals will soon be able to pay for their domain names in their local currencies and this will save Africa valuable foreign exchange which currently goes to foreign-owned registries. Africa will now contribute more to the digital economy”. The initial phase of registration that begins on May 1, will include receiving and processing applications for reserved names by various structures of government, trademarks and official organizations. Masilela emphasizes the importance of safeguarding historically relevant names under the dotAfrica domain, saying names like Mandela and others of relevance to Africa would be reserved during the ‘sunrise’ period which is set to run for four months. September will see the launch of the ‘land rush’ phase which entails the general availability of the dotAfrica domain to the business sector and the public. Masilela admits that the magnitude of the project means it will not be without its challenges but he seems confident that their accredited registrars will provide sufficient support to make dotAfrica a great success. Sirius Centauri is founder & MD of Penoptic Press - a South African web development, digital communications & content company.